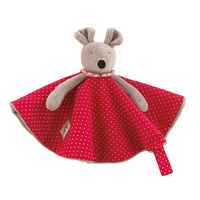 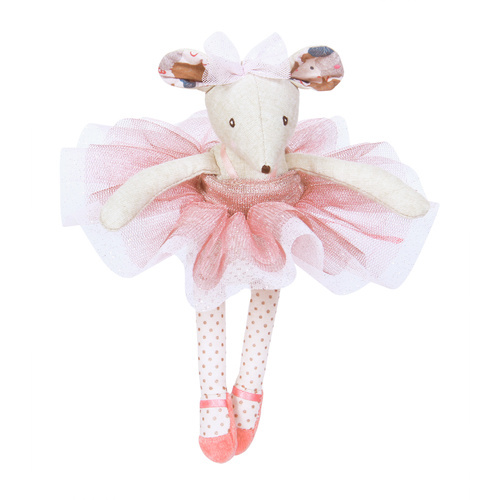 Meet the new-style Nini the mouse comforter from Moulin Roty’s La Grande Famille range! 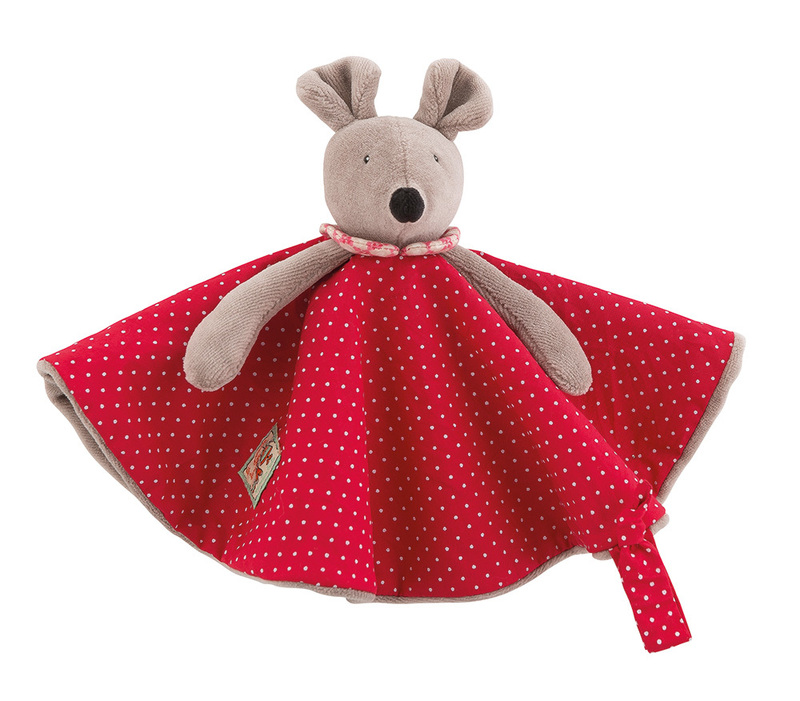 Still as sweet as ever, Nini has a red and white polka dot cotton dress (‘blanket’), complete with a floral patterned collar. 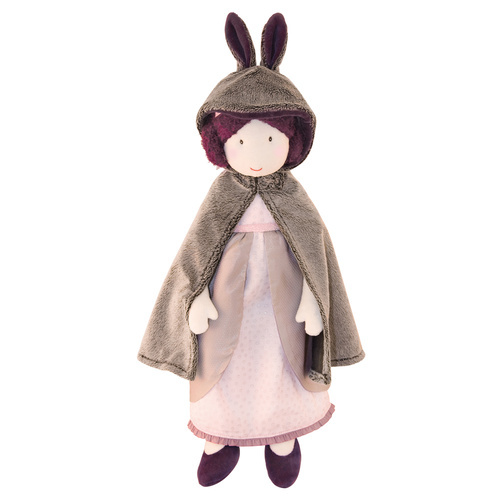 The dress is lined with soft velour in a light grey to match Nini. 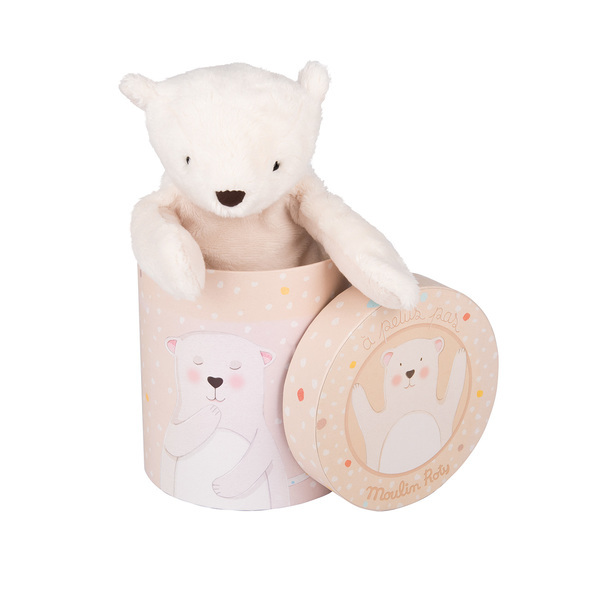 The Nini comforter includes a strap (fastened with velcro) to keep baby’s pacifier close at hand and her facial features are embroidered. 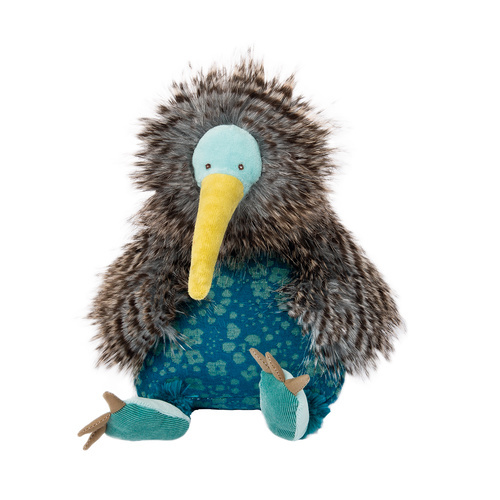 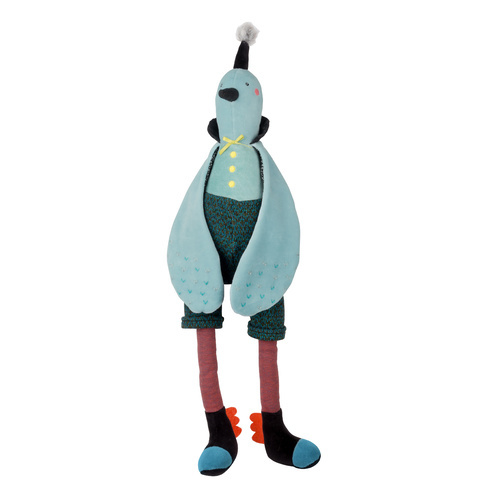 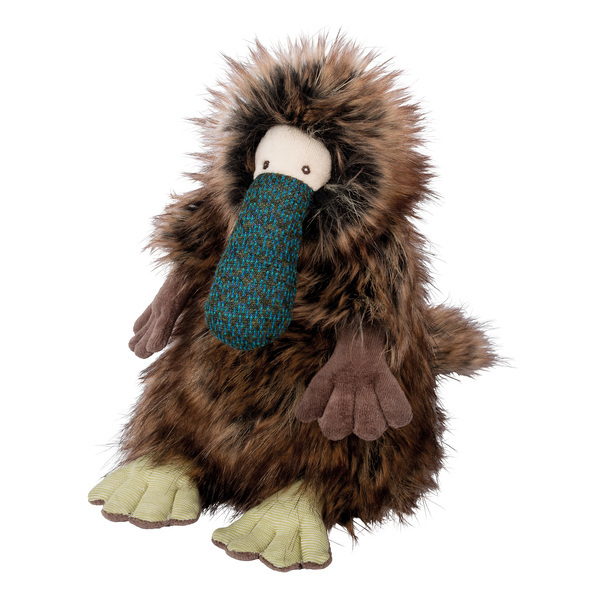 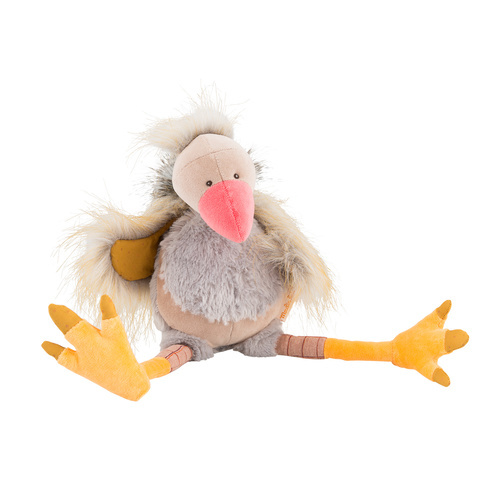 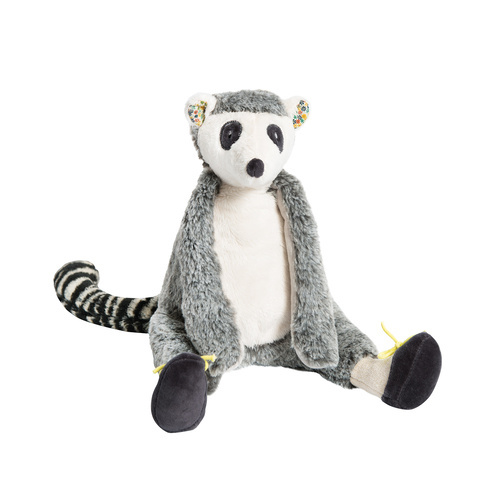 A perfect gift for a newborn or young child, Nini is easy to grasp and hold, and will be sure to become a much loved friend.